Al Vicere is President of Vicere Associates Inc., a consulting firm whose clients span the globe. A noted teacher, researcher and writer, he holds Bachelor's, Master's and Doctoral degrees from the Pennsylvania State University. He also serves as Executive Education Professor of Strategic Leadership for The Smeal College of Business Administration at Penn State. He was the Smeal College's Associate Dean for Executive Education for nearly 12 years, leading that unit to international prominence as a center of excellence in executive development and also has served as Faculty Director of Smeal's Executive MBA Program in Philadelphia, PA. He was the founding director of Smeal's Institute for the Study of Organizational Effectiveness (ISOE), and has earned a number of MBA teaching awards for his courses on strategic leadership. 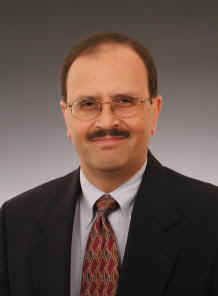 Dr. Vicere is the author of several books and has published over ninety articles and professional papers in leading journals including Organizational Dynamics, Planning Review, Human Resource Planning, The Journal of Management Development, Employment Relations Today, Personnel, Personnel Journal, Management Review, Training and Development Journal, Executive Development, The Journal of Management Learning, and Adult Education Quarterly. Among his books are, Leadership by Design, published by Harvard Business School Press, and The Many Facets of Leadership, published by FT Prentice-Hall. His observations on leadership were featured in the newspaper column, CEO Corner, syndicated by Scripps Howard News Service. He was awarded the 2003 Walker Prize by the Human Resource Planning Society for his landmark article, Leadership in the Networked Economy. In addition, he has been honored with two Literati Club Awards for writing and research excellence and he is a recipient of the Institute for Management Studies' Distinguished Faculty Award. He was listed among the "12 Gurus of Executive Education" in the journal Business Horizons, and among the 10 top leadership development coaches in the book, The Art and Practice of Leadership Coaching (John Wiley & Sons). Active in a number of professional and academic organizations, Dr. Vicere is a member of the Board of Directors of the Jana Marie Foundation, a 501(c)(3) non-profit organization founded in memory of his daughter and committed to helping young people and their families deal with problems related to depression, mental health, and suicide prevention. He also serves on the editorial board The Journal of Management Development (UK).